Should we promote commodity crops in forest frontiers? Among aid agencies, agricultural value chain interventions are often used to promote value addition, rural livelihoods, and economic growth in the global south. In Cambodia, for instance, two large and concurrent aid projects have aimed to strengthen value chains for cassava (manihot esculenta), even urging farmers to enter cropping contracts so that new, privately financed processing factories can thrive. At the same time, as a crop that can be grown easily on newly cleared lands, cassava is implicated in forest loss along Cambodia’s agriculture-forest frontier. Dramatic price volatility and crop pathogens have also fuelled debt and social disruption in farming communities. My paper in Transactions of the Institute of British Geographers shows that by shifting our analysis from value chains to market networks we can gain a more nuanced understanding of frontier markets. Value chain or commodity chain studies focus on the actors, institutions, and processes that bring goods and services from peripheral frontiers to global markets (Bair, 2009). In contrast, network analysis enables us to also consider how indirect actors frame conditions, entice farmers into new commodity markets, and influence market trajectories. My research on cassava markets in Mondulkiri province, North-East Cambodia, finds that a boom in cassava cultivation has produced two distinct market networks. The first network supplies dried cassava chips to trans-border markets that serve bioethanol and livestock production. The second network supplies fresh cassava to Vietnamese starch and processed food factories. By assessing the social, material and spatial relationships in each network, I show that subtle geographical variations in transport networks, migration patterns, and the availability of uncleared land support dried cassava production in upland areas and fresh cassava in Mondulkiri’s lowlands. The dried and fresh cassava networks reflect Mondulkiri’s differentiated geography of cassava production, arising from its varied landscape, demography and market opportunities. At the same time, each market network continually reconfigures these landscapes and communities in a process of co-production. Furthermore, both the dried and fresh cassava markets are highly dynamic. The promise of new land and income can mobilise farmers to grow new crops, while setbacks in the form of loss in soil fertility, price instability and debt have the effect of demobilising market networks. Projects that promote specific market crops or encourage contract farming can cut across these fluxes in detrimental ways, for example by reducing farmers’ flexibility to choose different crops. Although Mondulkiri is often described as a frontier province, its history of settlement and migration along available transport networks has produced highly differentiated spaces and opportunities. When land becomes harder to find in established areas, lowland migrants target new settlement locations, effectively creating a “frontier within a frontier”. This relational dimension of frontiers (Barney 2009) is also evident in international trading networks for cassava starch, where each actor sees themselves as peripheral. While Cambodian farmers think that Vietnamese factory owners set cassava demand and price, starch producers feel like peripheral actors in a global market controlled by international buyers. These examples suggest that frontier discourses are applied to very diverse settings that warrant interrogation if we are to better understand how frontier markets function. Should we promote commodity crops in the frontiers of the global south? My research findings indicate a need for caution. Interventions must be founded on nuanced knowledge that goes beyond value chain logics, particularly in areas that are undergoing dramatic and differentiated forms of social and environmental change. Without this, projects run the risk of uniformly promoting market engagements that are socially and environmentally unsustainable. About the author: Sango Mahanty is Associate Professor at The Australian National University’s Crawford School of Public Policy, where she leads the Resources, Environment & Development Group. The research discussed in this post and the associated paper draw on her Australian Research Council Future Fellowship (2014-2018), which studied market formation in the context of rapid social and environmental change along the Cambodia-Vietnam border. Bair, J. 2009. Global commodity chains: genealogy and review. In J. Bair (Ed. ), Frontiers of Commodity Chain Research (pp. 1-34). Stanford: Stanford University Press. This entry was posted in Uncategorized on February 12, 2019 by RGS-IBG Managing Editor: Academic Publications. Are more and more of us restricting the freedoms of others in everyday life? Still from the film Everyday Borders depicting a protest organised by women from the Southall Black Sisters. Everyday Borders was directed by Orson Nava and was produced as part of the EUBorderscapes project. Increasingly immigration legislation has shifted the policing of the UK’s border away from the margins and into everyday life, transforming ordinary residents into agents of the state who are required to verify the immigration status of others (Yuval-Davis et al, 2018). Recent legislation has de-professionalised checks and enforcement and moved them into the roles of different actors, most recently via the 2014 and 2016 Immigration Acts, whose focus is to create a “hostile environment” for so-called “illegal migrants”. This “borderwork” routinely happens when we attempt to access housing, health care, education, employment, and financial services. While they may not be physically detained, everyday life for those unable to prove their status (e.g. some members of settled populations from Britain’s former colonies) or whose status is not widely understood (e.g. asylum seekers) in the UK is characterised by “unfreedom”. Especially affected by this are Black, Asian, minority ethnic and refugee (BAMER) women, for whom this hostility intersects with the existing gender-based oppression and discrimination that they experience across interpersonal, social, structural and institutional spheres. The situation is exacerbated by the linking of immigration status to relationships through the ‘spousal visa’ issued by the United Kingdom Visas and Immigration (UKVI. Those who are forced to be dependent in this way and experience domestic violence find themselves facing the prospect of losing not only their home, family, work, etc. if they flee, but also their status in the UK. Evidence suggests that the need to access domestic violence support services is not only gendered but also racialised. BAMER women find it harder to leave situations of domestic abuse, yet they are more highly represented among those accessing domestic violence support services (Bowstead, 2015). For most of the BAMER women who took part in our research, their status in the UK was dependent on a partner or spouse. Loss of immigration status was often used to try to force the women to remain in a violent situation by their partners, families, and communities. One woman said, “My husband’s family they were using my immigration status as a way to make me stay […] They threatened to tell the Home Office about me”. In leaving a violent and/or controlling domestic situation, women may hope to find new freedoms as a result. However, BAMER women applying for leave to remain in the UK can become subject to new, state-sponsored processes of control, which may be so extensive and multi-layered that they could be described as a form of everyday incarceration. They face not only the possibility of destitution but also the threat of deportation, as they enter the UK’s asylum process. Non-EEA nationals leaving a violent partner settled in the UK may apply for a visa and gain indefinite leave to remain, but this route is often difficult to access, for instance, if a woman does not disclose the violence immediately, or is unable to provide “evidence” of it. Despite these difficulties, all of the women had left their homes and were forced to, as one woman said, “throw themselves on the mercy of the British state”. For some women, this had led to enforced relocation to different parts of the country, or to specific housing, which was in some cases unsafe. Some women described experiencing intimidation from landlords or housemates. Alternative housing options were limited, partly because of the government’s no-choice accommodation system for asylum seekers, but also legislation which obliges landlords to check tenants’ immigration status, leading some to avoid renting to those without UK passports. Some women had to travel long distances for frequent visits to Home Office reporting centres. Many lived in constant fear of being raided or picked up by Immigration Enforcement teams. All faced financial hardship, being unable to work or access benefits while their applications were processed. If they could prove they were “destitute,” the women could claim very limited cash funds and housing. If their application was refused but they were not detained (known as “immigration bail”), women were issued with an electronic payment card to buy food and essential toiletries. They could only use the card in certain stores, and this was dependent on verification by store staff, who were often untrained and therefore refused them service. Not all of the women were entitled to even this support. These factors combined to heighten feelings of difference and separateness for the women and thwarted their attempts to become or to feel integrated within their communities. Everyday bordering excludes people waiting for leave to remain in the UK from the freedoms of citizenship and subjects them to invasive control over their mobility, finances, and daily lives, even refusing them access to goods and services. Increasingly, we are all compliant in this process, with more and more people being engaged in undertaking “borderwork” on multiple levels. Women like those who took part in this research experience daily social, spatial and material oppression as their uncertain immigration status intersects with racial and gendered ‘micro-aggression’, and the control exerted over their lives by the UK Home Office is often effectively a continuation of the controls imposed through domestic violence. A fuller discussion of the issues in this blog post can be found in Cassidy, K (2018) Where can I get free? Everyday bordering, everyday incarceration. Transactions of the British Institute of Geographers, 1-15. The research includes a focus group that was shot as part of film produced for WP9 ‘Borders Intersectionality and the Everyday’ by Dr. Georgie Wemyss (UEL) and led by Professor Nira Yuval-Davis (UEL/Umea) for the EUBorderscapes project (2012-2016), as well as a collaborative arts project developed by Dr. Kathryn Cassidy (Northumbria), the Angleou Centre and Helix Arts on Tyneside (2015-2017). 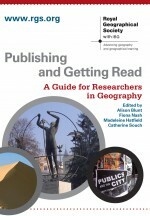 About the author: Dr Kathryn Cassidy is Associate Professor in Human Geography in the Department of Geography and Environmental Sciences at Northumbria University. This entry was posted in Uncategorized on February 5, 2019 by RGS-IBG Managing Editor: Academic Publications. The city of Santa Marta, Colombia, located on the country’s Caribbean coast, is one of the oldest in South America. Due to its climate, resources, and privileged location on the route to areas of natural beauty, such as the Tayrona National Park and the Sierra Nevada de Santa Marta, the city has become an important international tourist destination with the number of visitors increasing in recent years (El Heraldo, 2015). It is also a magnet for investors who want to take advantage of the city’s potential for the development of major projects, making it the most dynamic real estate market in the Caribbean (El Heraldo, 2015). In this context, there is considerable interest in determining house prices in the city, and thus obtain isovalues maps, to inform planning decisions (Chica-Olmo, 1995; Yue, Liu, & Fan, 2010). To obtain this information, we used primary data on second-hand single-family homes for sale in the first quarter of 2016 and information from the websites of major real estate agencies to quantify the impact of different factors such as the local freight railway line (Atlantic Railway Line) on house prices. The Atlantic Railway Line, which was inaugurated in 1887, borders Santa Marta to the north and east. It was originally a cargo and passenger line, but today operates as a freight line (transporting mainly coal, 40 million tons per year). The freight train is made up of more than a hundred cars and operates day and night, crossing several populated areas without a set schedule. The train is not equipped with safety mechanisms such as lights, crossing signals or bells to warn residents of its arrival. This has resulted in a number of accidents (Noticias-Uno, 2013). These dangers are compounded by the proximity of dwellings, many of which are located just a few metres from the line and suffer from noise, pollution, cracks in the walls, and other nuisances. Using spatial econometrics and geostatistics (see our paper in The Geographical Journal for more details, Chica-Olmo et al., 2018), we found that proximity to the freight railway line has a negative impact on house prices in the area, as dwellings located within the buffer zone of the line decrease in value by 14% to 24%. Chica-Olmo, J. (1995). Spatial Estimation of Housing Prices and Locational Rents. Urban Studies, 32(8), 1331-1344. Yue, W., Liu, Y., & Fan, P. (2010). Polycentric urban development: the case of Hangzhou. Environment and planning. A, 42(3), 563. This entry was posted in Uncategorized on January 22, 2019 by RGS-IBG Managing Editor: Academic Publications. The Democratic Republic of Congo is battling an Ebola outbreak. As is the case with any disease caused by pathogenic viruses – like Zika or influenza – Ebola spreads dangerously and unpredictably. This makes tracking the movement of viruses around the world a major challenge. Researchers have increasingly turned to DNA sequencing to help identify and track these sorts of diseases. They use portable DNA sequencers, which are the size of a USB and can be easily carried for use in the field. One such sequencer, the MinION from Oxford Nanopore Technologies was used during the 2016 Zika virus epidemic in Brazil. It’s also being used to track the DRC’s Ebola outbreak. Some researchers hope it will soon be possible to combine sequencing data collected in this way with other information to tell us even more about disease outbreaks. Integrating different kinds of data into a global infectious disease surveillance system that continuously scans for new epidemics might make it possible to detect outbreaks and sequence viruses as they emerge, allowing public health responses to be suggested in real time. There’s no doubt these efforts are driven by good intentions. But, as we argue in our new research, this technology – which supporters hope will become increasingly available to members of the public – could have serious privacy implications. Metagenomic data – the kind that could be collected on a sequencer such as MinION or others such as the Chan Zuckerberg Initiative’s new platform IDSeq – contains an enormous amount of information about who we are and how we live. In combination with other widely available information someone could potentially use that data to work out where you live, or with whom you have a close relationship. The reality is that, as improvements in data analysis methods allow us to extract new insights from old data (or de-anonymise anonymised data), it’s impossible to be absolutely sure what the potential uses of data will be. Imagine having an app on your smart phone that allows you to analyse samples from the world around you. You could use it to sequence your pet cat’s DNA, or to figure out whether the mould growing in your shower is dangerous. Sound far-fetched? It’s not. The technology required is already here. For example, the Chan Zuckerberg Initiative recently announced IDSeq, a new platform and database for infectious disease surveillance where registered users can upload their metagenomic sequencing data to have it analysed for free. There’s just one catch, as there would be with any sequencing app: you have to sign over permissions to the data. Most people will do this unthinkingly. Author Jamie Susskind has called this pervasive and common arrangement “the data deal”: people accept whatever a company asks so they can use an app or product, and worry about the implications later. This is the case with IDSeq. Initially enthusiastic researchers became concerned when they realised the platform’s terms and conditions contained a clause granting the Chan Zuckerberg Initiative “perpetual” permission to “use”, reproduce, distribute, display and create derivative works” from the data. The current justification given for this clause is that it’s intended to permit users’ research data to be used for improving IDSeq. However, in principle the data could later be shared with “any third party that purchases” part of the assets or organisation. So why does it matter if you share metagenomic data from your everyday life? Quite simply, because the data from that cat hair or mould sample might contain more information than you realise – and far more than you intended to sign away. It could contain not only the DNA you wanted to sequence, but also DNA from your fingers when you loaded the sample, from the bacteria on your skin from the last person you hugged, or from the gardens your cat visited last night. In short, that data contains vital information about your microbiome – the vast collection of microorganisms that live on and in our bodies. And your microbiome can tell someone an awful lot about you. As we learn more about our microbiomes, we are beginning to understand how much they are personalised. Even if we could filter out the human DNA sequences from datasets, our microbiomes could theoretically still be used to identify us. The microbiome contains information not only about our lifestyles, like our diet and drug intake, but also our social relationships, such as who we live with. That’s a lot of information to work with, in a world where we already share a great deal of data about ourselves via platforms like Facebook and Instagram, or personal fitness trackers. This data could feasibly be merged with metagenomic data, making it even more powerful. There are ever more surprising examples of incidental data being used in dramatic and unexpected ways that are far removed from the original reasons for collecting it. Data from a murder victim’s Fitbit was used to convict her killer. And data from users of the fitness app Strava inadvertently revealed the location of secret US army bases. There is every reason to believe that data from portable sequencers collected primarily for disease surveillance would contain information that could be used in similarly surprising, and concerning, ways. Metagenomic sequencing data is highly personalised. It contains implicit information about who we interact with and where we go, which makes it commercially valuable. These concerns shouldn’t (and won’t) stop portable sequencers being used for infectious disease surveillance. Corporations and governments will promise great benefits from the use of this technology. For example, the IDSeq privacy notice justifies data collection by appealing to “legitimate interest in investigating and stopping the spread of infectious diseases and promoting global health”. We need to continue scrutinising these organisations to make sure we understand exactly what’s being done with our data. The consequences of widespread portable sequencing, like emerging infectious diseases themselves, will be highly predictable. This entry was posted in Uncategorized on January 14, 2019 by RGS-IBG Managing Editor: Academic Publications. How can higher education institutions ensure the safety of researchers while they conduct overseas research without compromising the researcher’s academic freedom and their ability to deliver high-quality work? The cases of Giulio Regeni, who was abducted, tortured and murdered during his fieldwork in Egypt in 2016, and Matthew Hedges, who was imprisoned for over five months in 2018 during his fieldwork in the United Arab Emirates, exemplify some of the more brutal dangers researchers can face in the field. Although most researchers will not face such extreme danger, all fieldwork – whether it is conducted overseas or in the researcher’s home country – involves some form of risk to the researcher’s physical and/or emotional well-being. Geographers have drawn attention to the physical dangers researchers, particularly women, have to negotiate when they conduct fieldwork. For example, some researchers rely on family members to assist and accompany them in the field. Meanwhile, some white, female researchers who engage in cross-cultural fieldwork, especially in the global South, rely on their husbands and/or partners to provide protection from physical harm. Female researchers often present themselves in a way that conveys that they are conforming to the social and cultural norms of the communities they are studying. In some instances, taking young children to the field can make it easier for researchers to build a rapport with their participants as they bond over common concerns about children. Researchers’ dependency on family to ensure the success and safety of fieldwork highlights that our work is shaped by who we are as individuals, our family, and our social connections. In other words, our gender, age, class, religion, ethnicity, citizenship status, sexuality, physical appearance, and personality, among other factors, are implicated in the ways in which people interact with us and consequently our work. Our paper in Area focuses specifically on how we, as PhD students, relied on our parents to help us with research in our home countries. We reflect on our negotiations as ‘natives’ to our field sites in Sri Lanka and India and refer to three of our colleagues’ experiences in India and the Philippines. Our identity as local women meant that we had to align with the dominant gendered cultural norms of our field sites, such as being accompanied when we traveled to distant places or meeting with unknown people. In addition to protecting us from both real and perceived risks, we discuss how our parents assisted the research by tapping into their social networks to identify study participants, giving back to the communities we researched, and providing care and accommodation. While there were occasions when we insisted on navigating the field alone, our fieldwork was most successful when we relied on our parents and emphasised our identity as a ‘daughter’ who was under the protection of their parents. Yet, due to our identity as PhD researchers, and experiences of living alone in an unfamiliar country, our dependence on parents led to feelings of shame. We show how the explorer and survivor rhetoric that continues to influence general understandings of fieldwork led us question was it means to produce an ‘independent’ piece of work. There are numerous individuals who contribute to PhD research, but they are ordinarily only mentioned in the thesis acknowledgements. Our parents played important roles by helping to facilitate our fieldwork and by mitigating risk during our fieldwork. Through this paper, we retrospectively recognize our parents’ influence on the research process and highlight the need to critically engage with other people’s contributions to shaping and accomplishing a research project. About the authors: Menusha De Silva is a research fellow in the School of Social Science, Singapore Management University. Kanchan Gandhi is an Assistant Professor at the School of Planning and Architecture, New Delhi. Lunn, J., & Moscuzza, A. (2014). Doing it together: Ethical dimensions of accompanied fieldwork. In J. Lunn (Ed. ), Fieldwork in the Global South: Ethical challenges and dilemmas (pp. 69–82). New York, NY: Routledge. This entry was posted in Uncategorized on December 17, 2018 by RGS-IBG Managing Editor: Academic Publications. Should we be (re)connecting children with ‘nature’ and ‘natural’ resources? The Guardian newspaper recently reported that the UK’s National Trust had been criticised for halting access to one of its properties by a Forest School. The Trust – which is a large landowner and preserves historic sites – has been a regular and ardent promoter of ‘natural childhoods’. As they state, ‘our mission is to reconnect a generation of children with nature and the outdoors’. Nevertheless, the Trust took this decision following concerns that the Forest School’s outdoor education activities had been endangering ancient trees and wildlife. Discussion around the Trust’s decision was replete with a range of widespread assumptions about the need to (re)connect children – and especially urban children – with natures. Indeed, the Forest School’s response was to claim that the decision countered the National Trust’s own campaign to get children outdoors. Yet missing from this debate was a discussion about the relative merits of the idea that (re)connecting children with natures will be an unequivocally and universally good thing. Indeed, wider, and often powerful calls for children to play and learn outside tend to make assumptions about what ‘nature’ is (very often, apparently ‘pristine’ woodland) and about how children will respond to and experience those environments (which can vary significantly depending on a number of social and cultural factors). In our recent paper for Transactions of the Institute of British Geographers, we offer a different perspective on the idea that children should be (re)connected with natures. We also question related arguments that they should be better connected to ‘natural’ resources, like food, water, and energy. Our approach is different for two reasons. Firstly, we foreground critiques of the idea of (re)connection, but equally acknowledge that some forms of outdoor play and learning can be beneficial. Secondly, our paper is based on research outside the Minority Global North (and especially Anglophone countries), where ideas of (re)connection are particularly strong. Our research focused on young people’s experiences of and learning about the food-water-energy nexus in São Paulo State, Brazil. It was therefore concerned with the many ways in which young people (aged 10-24) sourced, produced, prepared, consumed and talked about food, water, and energy (and much more besides). Our paper draws on detailed qualitative research with a range of key professionals and with 48 young people. Key to our approach was the integration of recent forms of ‘nexus thinking’ into our methods – enabling us to trace connections and disconnections between different resources in people’s lives and across spatial scales. Our work complements, challenges and extends calls to (re)connect children with nature in a range of ways. On the one hand, it highlights how food, water, and energy are not simply resources whose provenance one may either know or not know but are intimately entangled within everyday concerns. For instance, one boy was able to visualise the infrastructures and journeys of water at a scale ranging over hundreds of kilometres – but only because he had picked up these knowledges through everyday interactions with water pipes, pumps, and ditches in his local community. On the other hand, young people in our research connected discussions of ‘natural’ resources with a keen awareness of social injustices in Brazil, particularly during the ongoing political-financial crisis. They highlighted that not only were they ‘connected’ with the sources of food, water, and energy, but that in turn questions of ‘resources’ were intimately connected with inequalities in accessing those resources, and about which they felt very strongly. Our paper does not suggest completely dismissing the idea of (re)connecting children with nature. Rather it asks geographers, childhood studies scholars and educators to acknowledge that children and young people are connected with ‘natures’ and with ‘natural resources’ – albeit in ways that might go beyond certain assumptions in some Anglophone contexts. Therefore, we pose the question: what might Forest Schools and other nature-based, environmental or outdoor forms of education learn from contexts like Brazil about the multiple ways that children already are, and could, be (re)connected with nature(s)? This entry was posted in Uncategorized on December 4, 2018 by RGS-IBG Managing Editor: Academic Publications. When do we move, and how far? Many of us will move house multiple times. Some moves may be international, but many more will be within the boundaries of the country in which we currently live. The majority will be across short distances – within or between local neighbourhoods and towns. The reasons why we move house vary: we may (want to) move to a particular school catchment area or our housing requirements change. Some move seeking employment opportunities or for higher education. We may later move upon retirement, to release equity, downsize, or to provide or seek care. While it is highly likely that at some point in our lives we will be faced with the decision of when and where to move, the factors influencing that decision will vary. This variation in the circumstances surrounding our decision to move means that different groups of the population have different probabilities of moving, and the nature of that move (e.g. in terms of distance) varies. In a socially, economically and ethnically diverse population, the possible factors or circumstances governing individual moves can vary greatly. The government’s racial disparity audit reveals the extent of this possible variation, recording stark differences across a range of factors including health, employment rates and access to social housing. Given these contrasting experiences, it is important to understand whether and how far different groups of the population are likely to move. This has implications for how we provide for the population. Resource-allocation, from schooling to healthcare provision, is complicated by the fact that the population is selectively mobile. This selectivity is recorded in the literature in terms of documenting the array of socio-economic and demographic factors associated with the likelihood of a move, and how these factors vary over the lifecourse. However, less is known about whether factors influencing migration vary within an ethnically diverse population, some of whom were born overseas and immigrated to the UK, while others are second+ generation migrants born in the UK. This matters in the context of debates around community cohesion and integration. Are some groups more able to move, and perhaps less constrained than others? Are preferences for remaining in the same place or moving over short distances born out of attachment to an area or community, or the result of constrained circumstances? These sorts of questions are key to understanding the changing ethnic composition of our towns and communities, and become increasingly important given recent reports of the spatial variation to everyday perceptions of immigration and integration. In England and Wales, the Census of population is an invaluable resource with which to examine patterns of ethnic internal migration. The richness of the data enables the study of the factors associated with the likelihood of moving house, how far people move, and whether these vary between ethnic groups by age, and within ethnic groups depending on where they were born. We can ask questions such as: Are some ethnic groups (e.g. White British) with particular characteristics (e.g. educational attainment, social class) more or less likely than another ethnic group to move shorter distances? Does this pattern vary by age, or between UK-born and foreign-born groups? Key to our analytical strategy was differentiating between age groups, and by country of birth. This entailed sub-setting our sample from the 2011 Census into different age groups and by UK-born or foreign-born status. Sub-setting the data and running a series of models allows us to estimate the probability of a move over a particular distance for different groups. We can examine whether the relationship between moving house for an individual of a given ethnic group born in the UK varies to that of an individual of the same ethnic group either of a different age or born overseas. Within these models, we control for a broad array of factors known to influence the probability of moving. Our results contrast with previous research. It has been suggested that minority ethnic groups are more mobile than the White British population, but that these differences are to some extent explained by different socio-economic profiles. In other words, higher rates of migration in a particular ethnic group are explained by a concentration of factors known to be associated with a higher likelihood of migrating (e.g. higher levels of educational attainment, or being single). Controlling for these factors in the model should then reduce differences between ethnic groups in the likelihood of moving house. This is not the case, and it is particularly apparent when sub-setting the population by age and by country of birth. There are also differences within and between ethnic groups in terms of the distance moved. This is important as we must ask why some groups are more or less likely to move across particular distances. We also made use of a new question introduced in the 2011 Census asking foreign-born individuals when they arrived in the UK. For our foreign-born sample, we ran an additional set of models for each age group including a variable controlling for year of arrival. As the population was subset by age, we essentially ‘fixed’ age which helps to separate the effect of time spent in the UK from increasing age—each may differently influence the likelihood of moving house. Time spent in the UK explained more of the differences between ethnic groups in the probability of moving house than the socioeconomic and demographic factors we controlled for in our models. There is a need to integrate discussions of international and internal migration given the complexity of the dynamics shaping differences in ethnic internal migration. More research into the nature of different migration events might reveal whether the remaining unexplained differences between ethnic groups reflect barriers to integration, a lack of rootedness in the local community, or a preference for mobility either as an individual or as a household. About the authors: Frances Darlington-Pollock is a Lecturer in Population Geography at the University of Liverpool. Nik Lomax is a University Academic Fellow and Paul Norman is a Lecturer in Human Geography, both at the University of Leeds. This entry was posted in Uncategorized on November 20, 2018 by RGS-IBG Managing Editor: Academic Publications.